Grafiprint MX112 is a monomeric white, gloss self-adhesive digital print vinyl with air escape adhesive technology for easy application. ✔ Eco Solvent ✔ Solvent ✔ Latex ✔ UV Suited for long-term indoor and 3-year outdoor applications such as car stickers, logos, window displays etc. 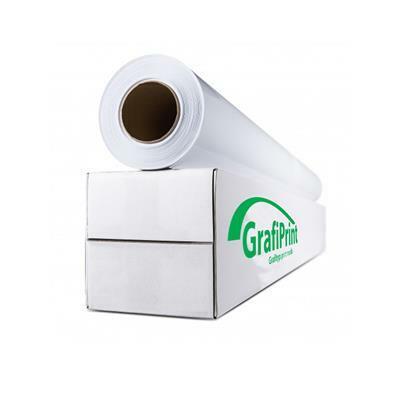 Grafiprint MX112 is a monomeric white, gloss self-adhesive digital print vinyl with air escape adhesive technology for easy application. Suited for long-term indoor and 3-year outdoor applications such as car stickers, logos, window displays etc.